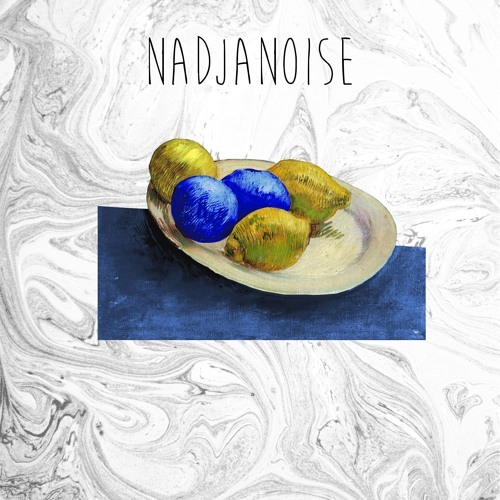 NadjaNoise is a cold pop band. Its first collection of songs is entitled "Engine Haïkus". Its second collection of songs is entitled "Moonlight Lemon". The band is not signed on any label. Bio : NadjaNoise is a duet formed in 2014 after several years of wandering in the cellars of improvised noise rock, in journeys in long-haul aircraft and surrealist meetings. Musically, the group claims the influences of the sound and approach of krautrock band as NEU! or Camera, of the blackness as well the colored lightness of The Cure, of the savagery in Gun club's voodoo-blues lines, and of Boards of Canada's electronic contemplative journeys. Beyond instruments, it is by the automatic writing, the writing of the dreams and cut-ups that associations of ideas and autobiographical or fictional images, that Nadjanoise joins in a surrealist approach.